Candidates wishing to work on gas, who do not hold the correct qualifications to progress straight on to the ACS assessments, may be able to undertake our Managed Learning Course. In the last 12 months SWAT Gas has been preparing for this key industry change by expanding our training provision, this has included creating a new purpose built training centre in Unit 20 Dunlop Road (next door). It is fitted out using the latest and best equipment available for both theoretical and practical training to create a facility that is un-rivalled in the midlands. This course is aimed at cross-training candidates who already hold relevant qualifications and / or experience in order to enable them to move on to the ACS assessments. All candidates have to be enrolled, durng this process their training requirements can be assessed so that their training needs can be properly identified. The course will require the completion of a porfolio of gas work under the supervision of a Gas Safe Register certified engineer in the areas of work that the learner wishes to demonstrate competence in. 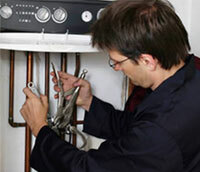 The course is a mixture of theory and practical elements with emphasis on safe gas work. Candidates will be required to attend the SWAT gas training centre in Redditch for a minimum of 4 x 5 day blocks (depending upon experience). After successful completion of the Managed Learning Programme, and the portfolio to accompany it, candidates can then move on to completing the ACS assessments. Courses are held regularly throughout the year. We appreciate that this is a considerable committment and encourage any prospective candidates to contact us to discuss their suitability, and come and have a look at our facilities prior to making any financial comittments.